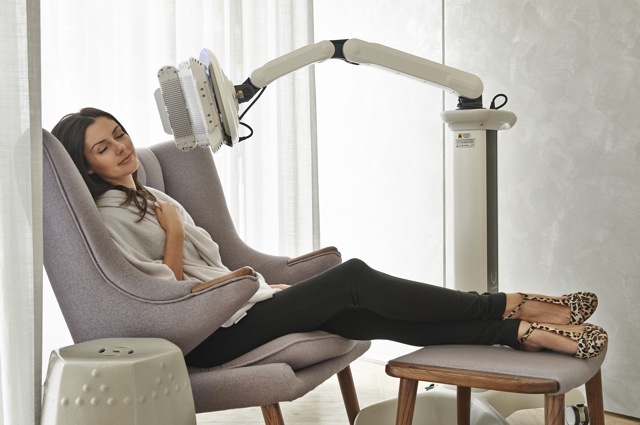 The Healite II is a soothing LED Facial that enhances the body’s natural cellular recovery. Its deep penetrating lights target skin cells to heighten their functions stimulate blood flow and induce faster healing. With 3 powerful wavelengths that promote the production of collagen and elastin, targets active acne, and reduces inflammation post-treatment. Yellow Light (830nm) penetrates the furthest of the 2 available wavelengths to promote faster healing, to reduce inflammation and stimulate the greatest collagen and elastin production. This wavelength works best when complementing our other skin treatments as it reduces inflammation, promotes the body’s natural healing response and enhances your results. Blue Light (415nm) targets the p-acne bacteria (porphyrin) without harming skin, to improve skin clarity and reduce future breakouts. Its anti-bacterial properties and decongest and purify problem skin and help normalise oil production. This wavelength also promotes calming relaxation. We generally recommend a course of 10 treatments over 4-6 weeks for best results. With each treatment you will notice that collagen and elastin production would have increased and that fine lines wrinkles will begin to fade away. Your Specialist may recommend alternating these wavelengths to create a unique treatment plan best suited to your individual needs. Recommended Add-On: Customised DMK Mask.